Outstand the French Finesse of Fol Epi to awake the consumers' senses! All over the world, cheese is a cherish dish. But in many countries, people are used to consume a specific type of cheese: sliced cheese. It’s primarily put on bread, mainly full-fat and without aromatization, and it’s considered as staple food. In Germany, sliced cheese is seen as a must-have product at home. You can mainly find sliced cheese on breakfast with bread due to a strong bread culture or for the German “Abendbrot”, a traditional and famous cold light evening meal, which means “evening bread”. 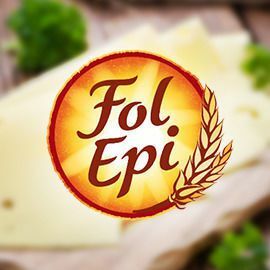 However, when consumers just buy cheese products out of rational determination, they don’t consider Fol Epi as an option. The brand has been trying to communicate its French Finesse through a TVC for years but it doesn’t create emotional bond with consumers. Participate before APRIL 15, 23:59 UTC!